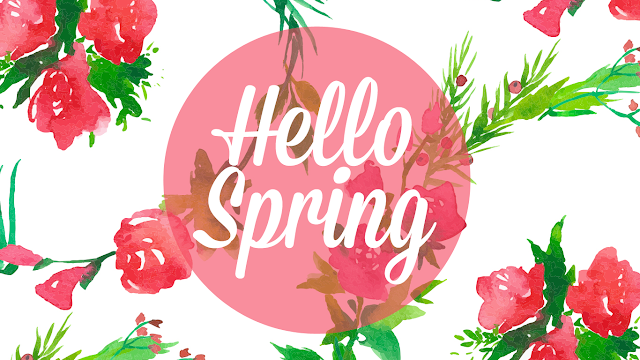 While Spring Break may be over, Spring if officially upon us! Although you wouldn't have known it yesterday because it was cold and windy all day. Sunny, but cold. Nonetheless I am so happy to say hello to my favorite season! Alrighty, on to the goods! Here were the highlight from my weekend! - Treated myself to a manicure at my favorite nail salon. - Had a delicious birthday dinner with some friends at a restaurant here in Houston called Taste of Texas. It's a steakhouse and is, you guessed, it Texas themed. My steak and creme brûlée dessert were delicious! - Got up bright and early and headed to College Station to visit with my uncle and aunt. - Visited the George Bush Presidential Library and Museum. It was so neat! I learned a ton of information about our 41st President that I didn't know about. Like did y'all know he was the US Ambassador to the United Nations AND the head of the CIA before he was Vice President and then President. Yeah me neither! The museum is very well done and gives you a ton of great history about the Bush family. Really makes you stop and think about the current election season lemme tell you. - Went to a Texas A&M Women's Basketball March Madness game. My uncle and aunt wanted to attend so I went along. They won which was good and it was fun to be back in college setting! Oh how I miss it! - Had more great catch up time with the family over coffee and quiche. - Went shopping with my aunt. Target and Old Navy were our stores of choice. I ended buying two dresses (the blue on from my Birthday Wish List. I got it in white too), a pair of black work pants, and some presents for my two nieces! They both have birthday coming up soon. - Put together on of my IKEA buys from earlier in the week. I bought a new bookshelf for my room and like it so much better than the one I originally bought for my room. - Watched the movie Brooklyn. SUCH a good film. I 100% see why it was nominated for Best Picture and for Best Actress for the girl who played the main character. I'm planning to add the book the movie is based on to my GoodReads list. Man, pretty busy weekend! Actually my weekend was busier then the whole of my Spring Break. It was a very low key and relaxing. I honestly didn't have much human interaction during the week, which was weird but not terrible. Definitely made me think about what it's going to be like when I live alone in a few months. But more on that later. Happy belated birthday! Love that you snagged that Old Navy dress-their stuff is so awesome this spring! Happy Monday! Hope your work week isn't too bad! It looks like it was a great weekend! Love the birthday wine glass you have, too! And a good mani is the best! A mani is a perfect birthday treat!! Glad you had a good weekend! sounds like a fabulous weekend! those flowers are so pretty. i haven't seen the movie brooklyn yet, but i have the book waiting for me, so i hope it is as good. love that birthday glass as well! Birthday weekends are the best! It sounds like you had such a great weekend! I seriously had no idea that George Bush had done so much before he was President either, until I visited the library! Hooray for March Madness games! I haven't really watched any of them, but I'm still happy that the Aggies are winning! I'm glad that you had such a great time visiting family and getting to celebrate your birthday! I love bluebonnet season, and I'm hoping that I'll get the chance to take pictures in them sometime soon! Happy belated birthday! I love Taste of Texas. Did you know they do free field trips for all fourth grade classes in the Houston area since it's officially a Texas history museum as well. I took my class one year and they loved it. What a fun and productive spring break girl! That wine glass is so cute!! I had no clue that George Bush did that much before becoming President! All the pretty flowers!! I cannot wait to move to Texas in July and finally enjoy all the beauties! !